Posted in Book Reviews | Humour. First things first, CONGRATS to Emer McLysaght & Sarah Breen for winning the SPECSAVERS POPULAR FICTION BOOK OF THE YEAR 2018 at the recent An Post Irish Book Awards. The Importance of Being Aisling follows on from the success of Oh My God, What a Complete Aisling. As you are all probably aware by now, I’m Irish and there have been times when I have been Aisling. There are so many occasions in this series that I get, I really do. The locations, the clothes, the addiction to the GAA…all understood. Aisling is in every Irish woman, I would dare to claim. We all most certainly have been friends with Aisling and I have no doubt, when I worked in Dublin, that I was considered by many to be an Aisling. Aisling is a warm-hearted cailín (Irish for girl). She is the friend you want (and need) in your life when your world turns upside down. 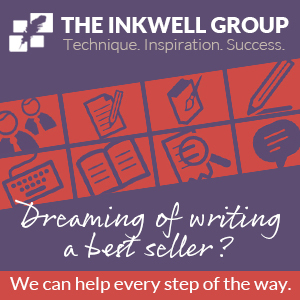 Aisling is totally reliable, totally trustworthy and guaranteed to always be there for you. Aisling is also, however, considered a culchie by some of her city colleagues, a naive country girl with her funny ways. Aisling has been through a tough break-up and a much-hoped for reunion with her longtime boyfriend John. Aisling had her life mapped out and John was always part of it. But now, back together again, Aisling is all too aware that the magic is gone. While she still loves John, she’s just not in love with him anymore. Time has passed since the tragic death of her beloved Dad. With her brother due to return to Australia, Aisling is very conscious of the fact that her mother will be very lonely. This responsibility sits heavily on Aisling’s shoulders. Two of her flatmates are getting married, leaving Aisling without a home and, to top it all off, she is unexpectedly made redundant from a job in pensions that she always considered steady. Aisling’s life is in turmoil with so many changes but yet, being Aisling, she holds her head up high and does what’s right. She makes the decision to return home, to leave her city life behind and to make a new start for herself. When I reviewed Oh My God, What a Complete Aisling, I referred to the fact that some of Aisling’s characteristics were deliberately over-embellished by the authors, with a stereotypical approach to the image of the country girl. While in some cases in this book, it is the same (and trust me when I say that they provide for some serious laugh-out-loud moments) I found The Importance of Being Aisling a book that was more thought-provoking. Initially, when Aisling returns home, her life settles back to the old routines of falling out of discos and basically getting hammered. The old gang are reunited. As the weeks pass though, the reality of life hits home for Aisling. Surrounded by her friends and neighbours, she realises that she might just be needed here. There is a very serious side to this story, as Aisling is witness to the impact of domestic abuse on the lives of others. The authors handle the topic with great sensitivity bringing home to us all the horrific daily reality faced by many women. Who knows what goes on behind closed doors? One small act of kindness can bring a ray of light to the lives of these people and with Aisling, well being Aisling, her hand of friendship is that light. Aisling is older now. Her ideas on life have changed. Experience has taught her a lot about how the best laid plans are easily up-rooted. 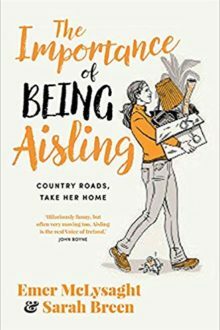 The Importance of Being Aisling still carries the same humour as Oh My God, packed full with the same Irish wit, but Aisling is older and wiser and her reflections and relationships have matured. There are elements of sadness to this book, with references to very real experiences that have impacted many of us, no matter our nationality. The Importance of Being Aisling will have a more universal appeal, as the transition from a young woman in her early twenties, with pie-high dreams and ambitions, will ring true for many of us, followed closely by the reality of life in our later twenties and early thirties.